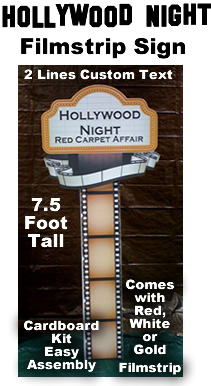 Hollywood Night Filmstrip Sign - With Custom Text - Cardboard Cutout Kit - Dino Rentos Studios, INC. 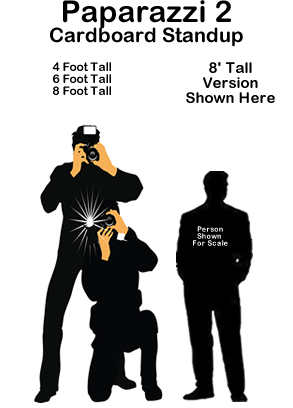 The perfect cardboard prop to add excitment to your event or display. Has Red, Gold and White filmstrip color options to display in the front. This cardboard Hollywood filmstrip sign kit assembles in about 15 minutes. Call for volume pricing and shipping discounts.